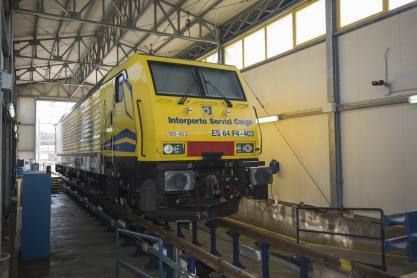 Interporto Servizi Cargo S.p.A. – ISC was set up in 2009 and is the railway subsidiary of Interporto Campano specialising in long-haul rail freight transport throughout Italy. 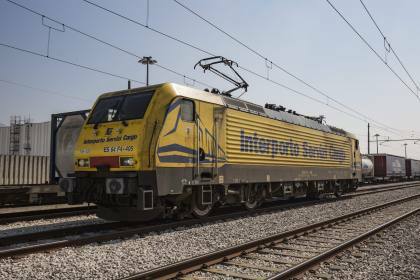 With its safety certificate, it assures services covering over 6,000 km of the Italian rail network and offers its customers transport of any kind of freight, including waste and ADR goods. Through Interporto Campano’s other subsidiary, Nuovo Operatore Intermodale S.r.l. 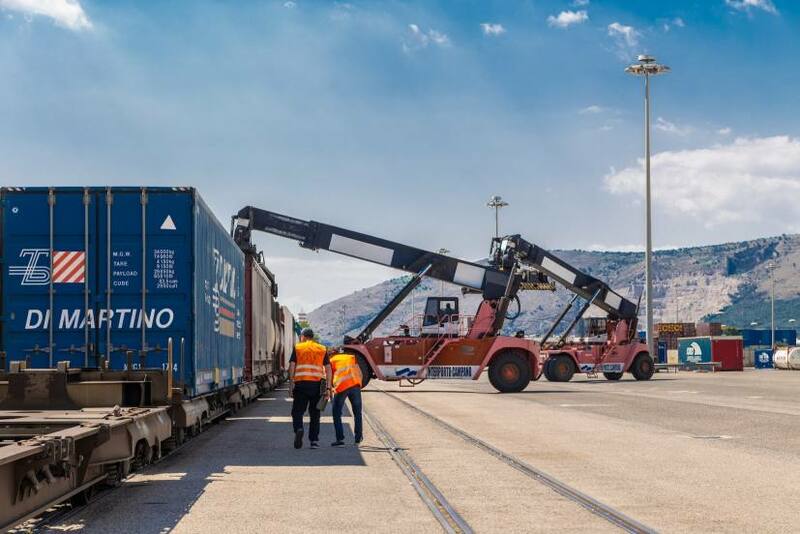 - NOI, ISC provides a terminal-to-terminal railway transport service both in Italy and abroad for carriers and logistics operators who have chosen to use intermodal transport. 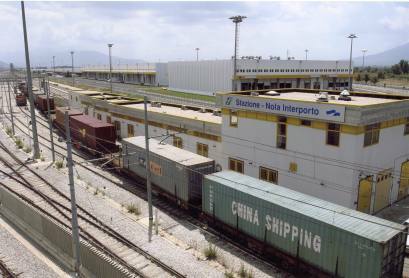 ISC promotes and owns the TAC project (High Capacity Trains), the most important and innovative freight railway project in Italy. ISC has indeed signed a 10-year framework agreement with RFI that allocates to ISC 85% of the available night-time capacity of the high-speed infrastructure between Bologna and Florence. 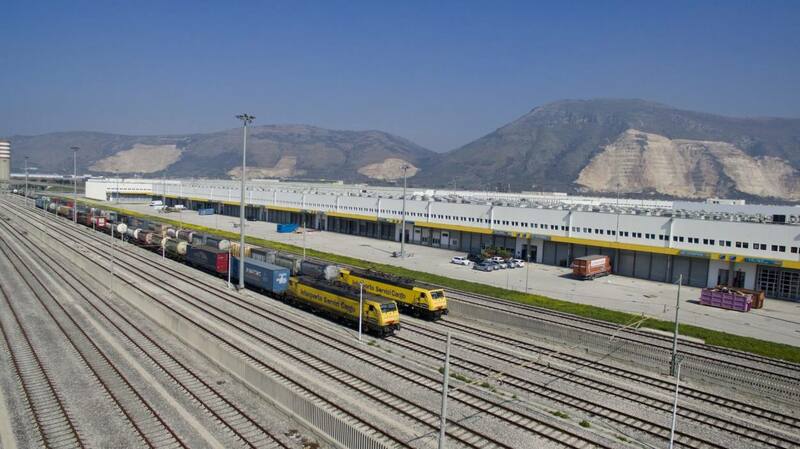 This is to ensure that trains carrying Europe’s most popular means of transport, i.e. the P400 large-capacity trailer, can travel in Italy as well. 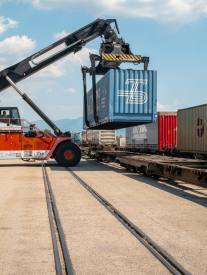 Initially, during the third quarter of 2019, ISC will connect three terminals in northern Italy (Verona, Novara and Melzo) with the Pomezia terminal, while as of the end of 2021 the network will be doubled by also connecting Nola to the three terminals in northern Italy. ISC has a fleet of seven cutting-edge Siemens and Bombardier trains and has already placed an order for another ten made by the latter. 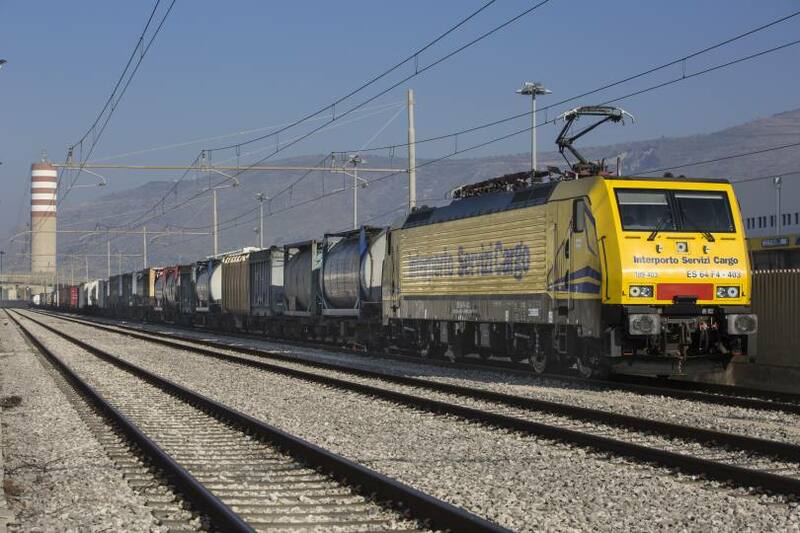 These will be delivered starting from July 2019, with the capacity to haul up to 1,300 tonnes on the Tyrrhenian line and 1,600 tonnes on the Adriatic line. 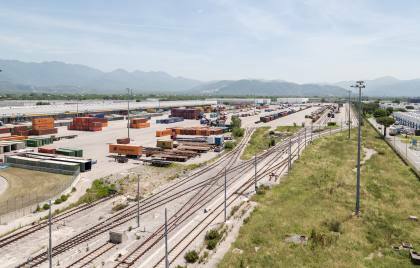 It also has 150 flat cars that can transport any kind of ITU, namely swap bodies up to model C57 and semi-trailers (only on the Adriatic line), and has nine offices across Italy. ISC also provides online booking, tracking and tracing services. With this structure, ISC is able to reach high efficiency levels, as shown by the fact that 92% of its train are on time. 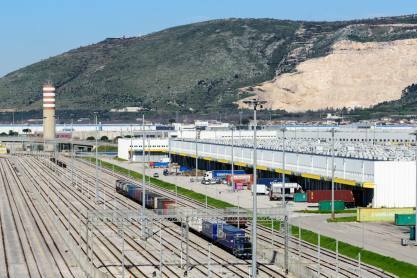 Through its subsidiary NOI, ISC, provides daily connections between southern Italy and more than 60 European destinations with guaranteed transit times that are very competitive compared to other transport methods. 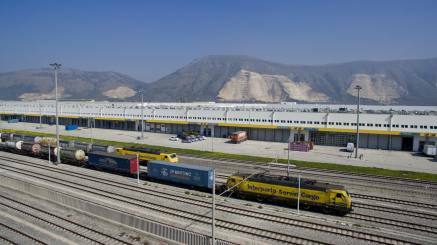 Indeed, NOI has established long-term agreements with Europe’s main operators, such as Lineas Intermodal, Hupac, Kombiverkehr and Mercitalia Intermodal. ON TIME More than 92% of ISC’s trains are on time, thanks to a streamlined organisation and train circulation control from an operations room at work 24/7. 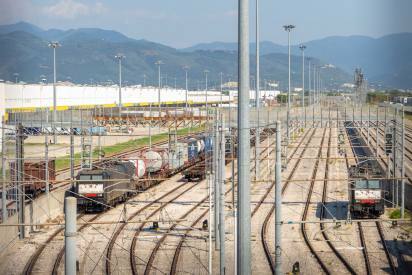 SAFE ISC has a safety certificate renewed for 4 years by the Italian Railway Safety Agency and works every day to reduce to zero the risk of potential accidents. ENVIRONMENTALLY FRIENDLY The electric engines ensure our ecosystem is preserved. Namely, intermodal transport saves about 75% tonnes of CO2 produced compared to a traditional transport method. 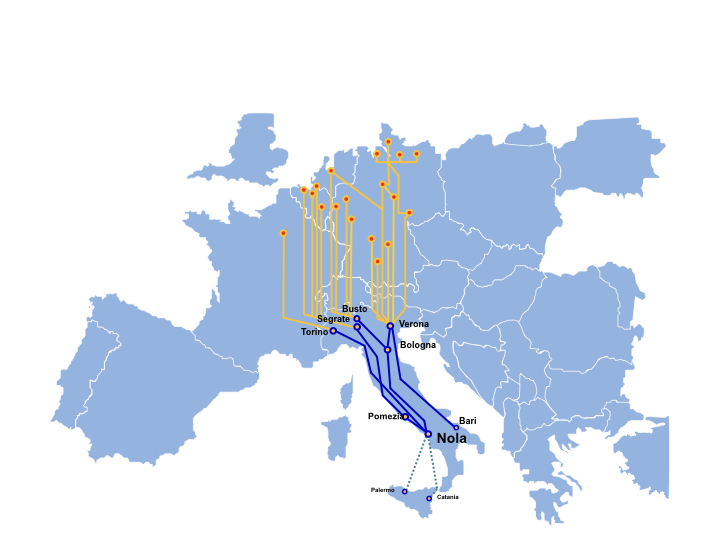 Every day ISC and NOI connect Europe and northern Italy with southern Italy, providing their customers with a network of regular train services from/to Torino Orbassano, Milano Segrate, Verona QE, Bologna Interporto, Pomezia SGT, Giovinazzo and Nola Interporto. 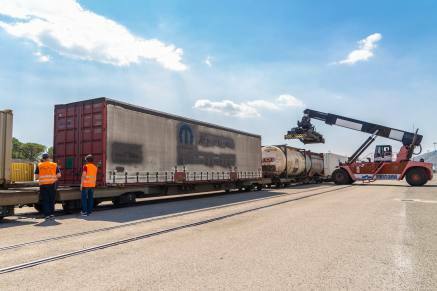 Loading must be completed on all lines in the late afternoon and cargo is released in the morning of the following day.